It is difficult for your toothbrush to get in-between the small cracks and grooves on your teeth, especially those hard-to-reach spots in your mouth. If left alone, those tiny areas can develop tooth decay. Sealants give your teeth extra protection against decay and help prevent cavities. Dental sealants are plastic resins that bond and harden in the deep grooves on your tooth’s surface. When a tooth is sealed, the tiny grooves become smooth and are less likely to harbor plaque, making them easier to clean. Sealants are typically applied to children’s teeth after the permanent teeth have erupted as a preventive measure against tooth decay. However, adults can also receive sealants on healthy teeth. 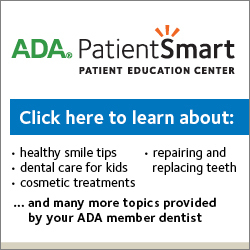 It is more common to seal permanent rather than baby teeth, but every patient has unique needs. Your dentist will recommend sealants on a case-by-case basis.